Not too long ago, Kanye West was so much more than a rapper. His controversy felt necessary, his politics vital, his music empowering. Not only were his albums fantastic and complete (a rare thing in modern hip-hop), his lyricism was poetic and inspirational. He blended effortlessly between musical styles, mastering genres as he went. He explored consumerism, masculinity and civil rights. He spoke about his mother being arrested for protesting civil rights, homophobia in the rap industry, mental health, and female insecurity, as well as his own . It is no surprise millions saw him as a role model. Now a shadow of his former self, he is little more than a talking point. He is now everything he warned against; the epitome of celebrity consumerist culture, lending support to Donald Trump, struggling with drugs and becoming hospitalised due to mental illness. When did the artist who spoke of Jesus, freedom and love turn into a hyperactive celebrity whose legacy is tarnished by reality shows and Twitter rants? And a white man get paid off of all of that…. Kanye performed at Def Poetry Jam three times. In what became ‘All Falls Down’, he delivered these lines. Describing clothes as “things we buy to cover up what’s inside” puts him in direct opposition to not just hip-hop culture, but American culture. His self-aware stance places himself in a subservient role – he is not afraid to admit that consumerism makes you (and him) “hate ourself and love they wealth”. This is putting aside the fact that in two lines he describes the entire system of drug circulation, and the racial politics at play too. In an earlier verse, he prophesies his own struggles with mental health; “It seems we living the american dream/ But the people highest up got the lowest self esteem”. Back in 2004, and for the next six years, he would rip up celebrity culture in this way. Alongside this, he preached outside of music too. Back then, his controversy wasn’t just for the sake of it, it was necessary. His sudden interjection in 2005 that “George Bush doesn’t care about black people” during a Hurricane Katrina appeal reflected FEMA’s lack of funding and resonated with millions. Elsewhere, he continued to talk sensitively when necessary. This same year, he spoke articulately about the inherent homophobia within hip hop, a topic left untouched by artists. Musically, his following albums held just the same witty, sharp and fresh voice, and the beats were just as good. Even his weakest album, 808s & Heartbreak, proved influential, inspiring artists such as Drake to relish in a new melodic, slower space that Kanye had carved out. This culminated in one of the greatest albums of all time, My Beautiful Dark Twisted Fantasy. This operatic score, accompanied by an artistic 34 minute film, was underpinned by an insight into Kanye’s raging, turbulent state of mind. It was shortly after this time that there was a turning point. Musically, while still original, he became sub-par. 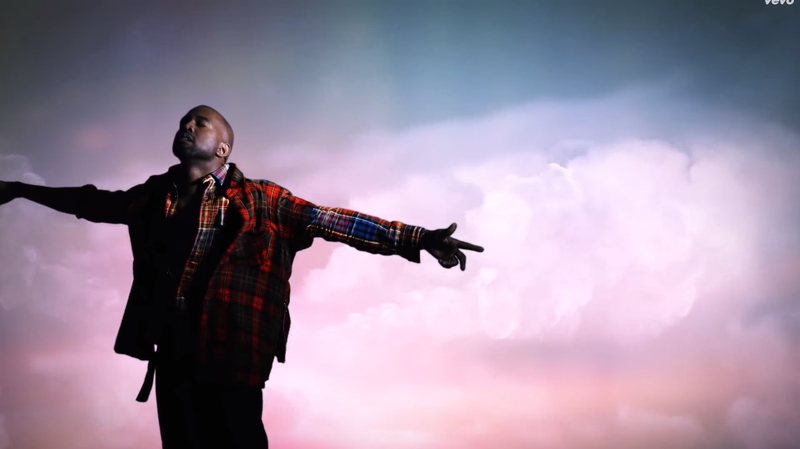 Though it had mixed reviews, I didn’t actually mind 2013’s Yeezus; it wasn’t up to the standards he’d set himself, but it was unique and experimental. It did at least feature some fantastic tunes – ‘Black Skinhead’ and ‘Blood on the Leaves’ in particular. In hindsight though, this was the start of Kanye’s decline. And this was just musically. In 2007, Kanye’s beloved mother, Donda West, died. He performed a heartfelt version of ‘Hey Mama’ at the 02 in London in the aftermath. This prompted a sorrowful 808s & Heartbreak, but he still bounced back musically after this. But it was his marriage to Kim Kardashian that, if not a turning point, certainly marked the new Kanye. The culture that he was loved for criticising, the personality that he was loved for being unashamed of, and his honesty that he was loved for expressing were all gone. It was all replaced by a confused, mentally ill celebrity, desperately trying to stay relevant. His early lyrics predict his own downfall, detailing how many black artists buy into the very same hierarchy they once opposed. In his denial of this, he writes “Most Blacks with money have been beat into submission / Yeezy with the big house did it way different”. But this is the point, he didn’t do it way different. His former self would despair at what he has become. Jasmine Mans performs an incredible poem exploring this, using many of Kanye’s own lyrics against him. It’s extremely powerful, and I’d urge you to watch it (especially if you’re a Kanye fan). For me, Kanye’s descent doesn’t stop him being a hero, an icon. In fact, it’s all the more reason. Heroes are, and have always been, flawed. Tupac, Gandhi, Che Guavara, Winston Churchill – you name it. This is, ultimately, Kanye West’s lasting message.